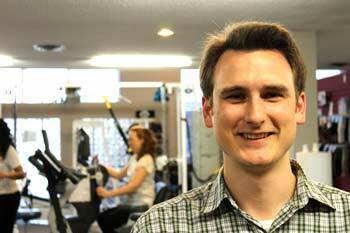 I joined the York Rehab Associates team in 2016 and I’m so happy to be working at such a great physiotherapy clinic in Newmarket. I’ve been working in orthopaedics since 2011 while holding a Bachelor of Science in Human Physiology and a Master of Science in Physical Therapy. Over the years I’ve worked to improve my skills, taking multiple courses every year I’ve been out of school. I became Certified in Mechanical Diagnosis and Therapy, also known as the Mckenzie Method, in 2015. I am continually amazed at how this system allows me to help my patients recover from their painful ailments, so much so that I have signed up for the Diploma Program in Mechanical Diagnosis and Therapy, starting in 2017. This is the highest level of training offered by the McKenzie Institute, and those who have completed it are considered experts in the field of orthopaedics, achieving unparalleled outcomes with their patients. Aside from my professional work, I enjoy running and cycling regularly, and getting out on the ice for a skate – hockey is my passion outside of physio!